MediationWorks provides mediation services for businesses, public and private agencies, and individuals. MediationWorks is dedicated to helping employers and individuals find effective solutions for workplace and family conflicts. Want the best outcome for your case? Mediation encourages individuals to work together to seek mutually beneficial solutions. Mediation fosters understanding through open communication. Mediation is safe, private, informal and confidential. Feeling overwhelmed by the system? Mediation can lead to greater compliance than decisions imposed by outside authorities. Ready to reach an agreement? If you said “YES” to any of these questions, you owe it to yourself to see if MediatinWorks NC can help you! Mediation is a confidential process used to resolve differences. A neutral facilitator or mediator assists parties to communicate effectively about difficult issues. The mediation process creates a safe environment to share perspectives, explore options and seek solutions that satisfy all parties’ interests. Mediators are skilled in techniques that foster mutual understanding and empower parties to determine their own outcomes. There are numerous benefits for using mediation over formal arbitration or litigation. It is typically much quicker and often less expensive than arbitration or litigation. Mediated agreements are always voluntary and are, therefore, more emotionally satisfying and likely to lead to compliance than settlements imposed by outside authorities. The mediator creates a safe space for conflict resolution by welcoming all participants, demonstrating his/her neutrality, maintaining the confidential nature of the process, and setting the stage for healthy discussion. All participants are invited to share their story and unique perspective on the situation uninterrupted and with an emotional context. The mediator will often reflect back both the factual and emotional content of each participant’s statements. After all perspectives have been shared, the mediator assists participants in identifying their main concerns and reframing the issues in terms of their underlying interests and needs. After issues have been clearly identified and articulated, participants explore solutions that meet everyone’s needs and interests to the greatest extent possible. Mediators encourage participants to develop more options than they might on their own, increasing the likelihood of a successful outcome. Mediators help participants reach agreements that are realistic, specific and mutually acceptable. Because participants are empowered to create their own solutions, agreements are more satisfying and have a much higher rate of compliance than court-ordered settlements. While results cannot be guaranteed, mediation more often than not results in a settlement that is more acceptable to the parties and more likely to be complied with than other forms of dispute resolution. Mediation is scheduled for the parties’ convenience and typically takes much less time than administrative or court proceedings. Mediated agreements can often be reached long before a case could be brought before a court. While mediation may involve attorneys, accountants, and other experts, the process can often be accomplished with only the mediator and parties in dispute, and provide an economical alternative to litigation and other methods of dispute resolution. Mediation empowers participants to resolve their own disputes rather than have an outside authority dictate the outcome. Because mediated agreements are always voluntary, participants maintain control of whether and how their conflict is resolved. Mediation is informal, personalized and confidential. Litigation is formal, impersonal and a matter of public record. All parties’ perspectives and emotional responses are honored in the mediation process. The mediator uses active and reflective listening to reframe issues and to encourage mutual understanding. In a successful mediation, all parties feel heard. Often, relationships are restored or strengthened through this process. Mediators remain neutral and impartial to ensure all parties’ needs and interests are fairly represented. The goal of mediation is to create win/win solutions. Because mediation seeks to identify and meet the interests and needs of participants, mediated agreements often produce more satisfying outcomes than cash reparations alone. Mediators help participants explore realistic solutions. Mediators lead parties to identify the range of likely alternatives to a negotiated agreement and thus be more reasonable and flexible in their problem-solving approach. Mediation validates emotions, encourages participants to shape decisions, generates more options, and helps participants maintain control over their lives. For these reasons and many more, mediation produces long-lasting agreements with a high level of compliance. Mediation works for businesses and agencies that want to retain valuable employees by creating an optimal work environment. Workplace conflicts are common and can inspire healthy innovation when managed properly. However, unmanaged conflict can paralyze productivity and undermine an organization’s health and longevity. Mediation can be a more constructive, cost- and time-efficient method for managing active conflict than formal grievance procedures or lawsuits. Mediation creates positive upstream effects in the workplace; managers and employees learn valuable dispute resolution skills that can prevent further conflict, saving employers valuable human and financial resources. Mediation works for families in transition to reduce the stress and animosity that can arise during separation and divorce. Separation and divorce, particularly when children and financial assets are involved, are challenging life transitions. Mediation is ideally suited to helping individuals work through financial and child-related issues in a cooperative rather than adversarial manner. Mediation can help parents develop a healthy, lifelong working relationship that best supports the emotional and financial needs of their children. MediationWorks can provide neutral meeting space for large or small groups. Services can also be provided on site. Mediation services are provided on an hourly, fee for service basis, with a one time per case administrative fee. MediationWorks founder Sarah Corley began her career as a lawyer specializing in litigation and employment law. Early in her legal practice, she discovered the benefits of mediation for her own clients. 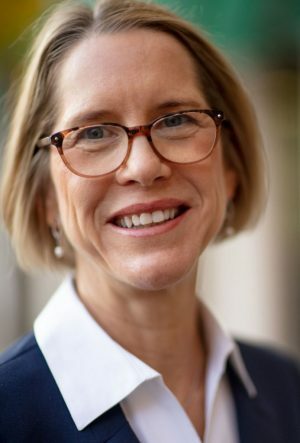 Prior to founding MediationWorks, Sarah volunteered with the Justice Center of Atlanta and later served as Executive Director of The Mediation Center in Asheville, North Carolina.